Add to calendar 2019-04-28 11:00:00 2019-04-28 12:00:00 America/Los_Angeles Sonoma Overlook Trail Re-Opening Celebration Come, and join the Sonoma Overlook Trail Stewards at the Overlook Trailhead Kiosk for a free celebration and hike of the fully re-opened Sonoma Overlook Trail! Meet trail stewards, American Conservation Experience trail builders, and City, County, and State officials that helped to complete this project! 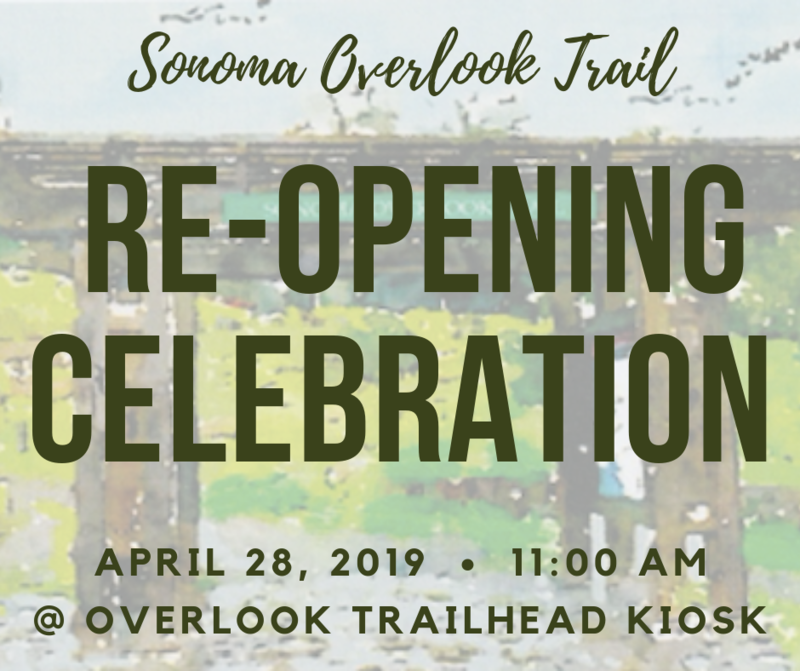 Come, and join the Sonoma Overlook Trail Stewards at the Overlook Trailhead Kiosk for a free celebration and hike of the fully re-opened Sonoma Overlook Trail!